A set of 4 princess crown bows with 2 latex bands attached. 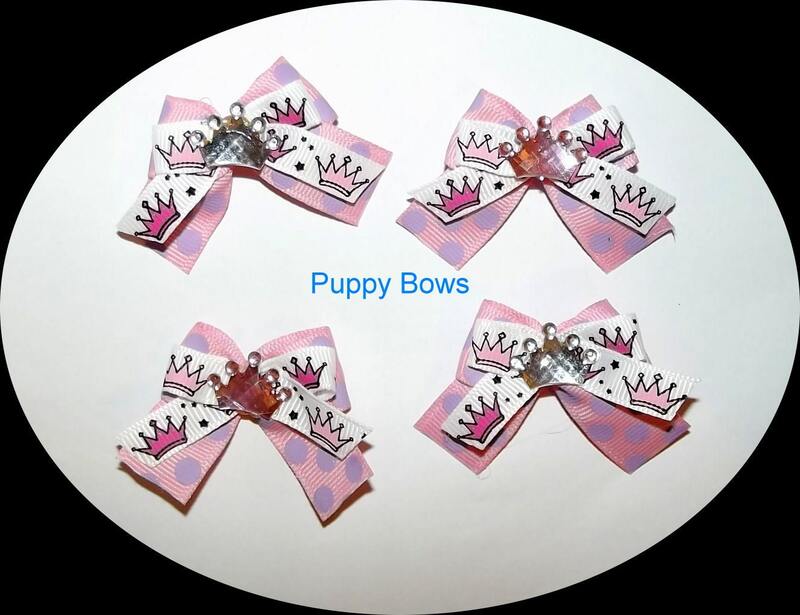 Each bow measures about 1.5" with 2 layers of ribbon and a shiny pink or crystal crown. PERFECT !!!!!! FAST SHIP !!!! THANKS SO MUCH!!!!! !